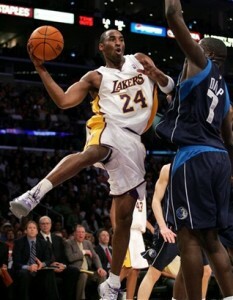 Kobe Bryant floated through the air and led his Lakers to a win against the Mavericks on January 7, 2006. Kobe is looking sharper this season. Maybe, just maybe, he’s starting to mature.